Kim Kardashian and Kanye West enjoy a safari trip in Uganda with their daughter North! - ViralDoozy Your source for Celebrity gossip, latest Entertainment news and Viral stories. Home The Kardashians Kim Kardashian and Kanye West enjoy a safari trip in Uganda with their daughter North! Kim Kardashian and Kanye West enjoy a safari trip in Uganda with their daughter North! 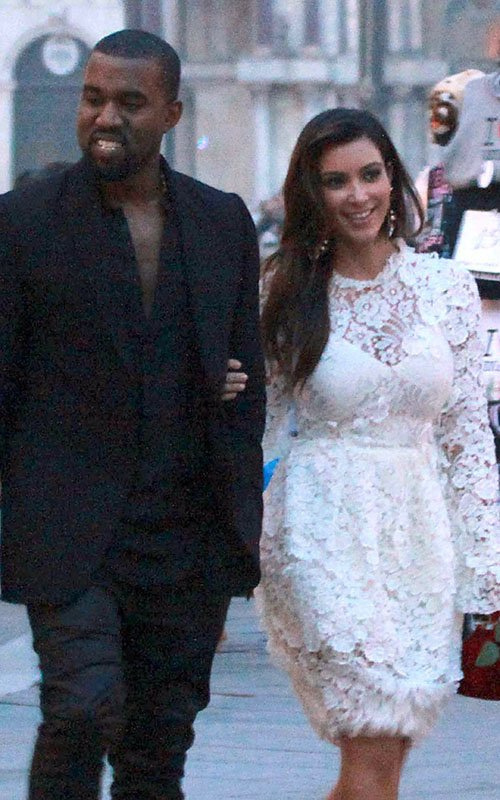 Kim Kardashian and Kanye West went to Uganda on a safari with the little North West! Over the next few days. Kanye West and Kim Kardashian traveled on a little safari on Uganda, Africa at the beginning of the week. accompanied by their daughter, North. Earlier in the week, Kanye West went to Uganda after he prepared his 9th album. Ye also took the opportunity to meet up with Ugandan President . after spending time together, he offered the president a pair of white sneakers in appreciation on his invitation. It seems that Kanye West has plenty of future plans in his mind as he has confided to the Yoweri Museveni the Ugandan President that he would love to have seven children in the future with Kim Kardashian. The reality TV star doesn't want to have so many children, no doubt about it at this time at least. Indeed, she took advantage of her trip with her husband with her daughter North. The 5-year-old wanted to see some giraffes and therefore she had a lovely day! KIM KARDASHIAN ON A SAFARI WITH NORTH! Kim Kardashian and Kanye West arranged an all-day family day. The reality TV star made a video of her day activities on her Instagram account and shared a good part of the safari with North with her followers. For the little girl, she was able to see not only giraffes but also many monkeys! North seemed happy to spend an amazing day with both of her parents and have the chance to explore Africa's animals! "North, do you see the Giraffe family?" Said, Kim Kardashian, while addressing her daughter." Kim Kardashian shared some lovely videos and photos of her day with her daughter North and Kanye West. She has even made a selfie video where you can see North cuddling her Mommy. As for Kanye West, he doesn't go unrecognized with his flashy yellow shirt! Well, At least the whole African people knew about his trip to Uganda!